In this section we analyze the advantages and disadvantages of nuclear power. Nevertheless, most organizations related to nuclear energy are already positioned for or against the use of nuclear power. On this site we try to make an objective analysis about this question, giving all the relevant information and offering a space for different conclusions. The generation of electricity through nuclear energy reduces the amount of energy generated from fossil fuels (coal and oil). Less use of fossil fuels means lowering greenhouse gas emissions (CO2 and others). so in the next future these resources may be reduced or the price may increase becoming inaccessible for most of the population. Another advantage is the required amount of fuel: less fuel offers more energy. It represents a significant save on raw materials but also in transport, handling and extraction of nuclear fuel. The cost of nuclear fuel (overall uranium) is 20% of the cost of energy generated. The production of electric energy is continuous. A nuclear power plant is generating electricity for almost 90% of annual time. It reduces the price volatility of other fuels such as petrol. This continuity benefits the electrical planning. Nuclear power does not depends on natural aspects. It's a solutions for the main disadvantage of renewable energy, like solar energy or eolic energy, because the hours of sun or wind does not always coincide with the hours with more energy demand. It's an alternative to fossil fuels, so the consumption of fuels such as coal or oil is reduced. This reduction of coal and oil consumption benefits the situation of global warming and global climate change. By reducing the consumption of fossil fuels we also improve the quality of the air affecting the disease and quality of life. We've previously discussed the advantage of using nuclear energy to reduce fossil fuel consumption. Organizations often use this argument in favor of nuclear energy but it's a partial truth. Much of the consumption of fossil fuels is due to road transport, used in heat engines (cars, trucks, etc.). Savings in fossil fuel for power generation is fairly low. Despite the high level of sophistication of the safety systems of nuclear power plants the human aspect has always an impact. Facing an unexpected event or managing a nuclear accident we don't have any guarantee that decisions we took are always the best. Two good examples are Chernobyl and Fukushima. 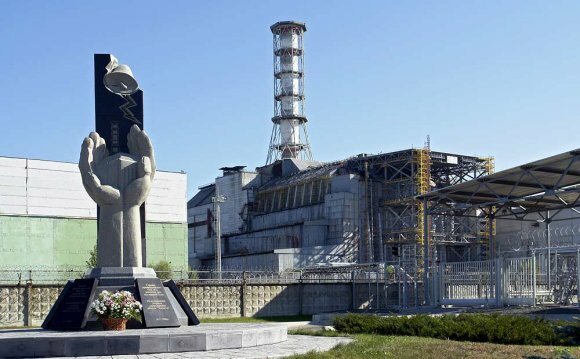 The Chernobyl nuclear accident is, by far, the worst nuclear accident in the history. Different wrong decisions during the management of the nuclear plant caused a big nuclear explosion. Referring to the Fukushima nuclear accident, the operations done by the staff were highly questionable. Fukushima nuclear accident is the second worst accident in the history. One of the main disadvantages is the difficulty in the management of nuclear waste. It takes many years to eliminate its radioactivity and risks. The constructed nuclear reactors have an expiration date. Then, they've to be dismantled, so that main countries producing nuclear energy could maintain a regular number of operating reactors. They've to built about 80 new nuclear reactors during the next ten years. Nuclear plants have a limited life. The investment for the construction of a nuclear plant is very high and must be recovered as soon as possible, so it raises the cost of electricity generated. In other words, the energy generated is cheap compared to the cost of fuel, but the recovery of its construction is much more expensive.